The Chemelot site contains 3,500 concrete columns that support the vital network of product and utility pipelines. The majority of these are already over 60 years old. These 'aging assets' require proper maintenance to ensure the unimpeded and sound positioning of pipelines and cables over the next 25 years. A plan has been developed together with TNO to implement this safely and at an optimal cost. Marcel Roost (Business Unit Manager Infrastructures) explains: "The concrete pipelines were built after the Second World War, when steel was hardly available. We are now seeing that the concrete has defects associated with its age and location. Replacement is not an option, as this would require unrealistic investment. That is why, in consultation with our customers, we have launched a project for extending the life span to 25 years." 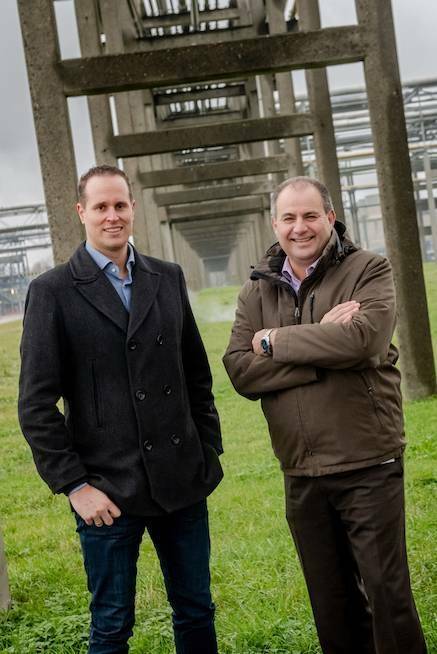 "It makes sense to start with the columns that are in the worst condition, but research into that is costly and time consuming", explains Joep Lemmens (Improvemanager Asset Management Chemelot). "In consultation with the TNO research institute, we are now looking at which failure mechanisms are occurring. The TNO research institute has experience with this on a large scale, so that a prioritization and plan of action can then be made on the basis of this. We have commenced a theoretical study in combination with random non-destructive maintenance." What are the main failure mechanisms? Joep explains: "Due to aging, various substances can penetrate the concrete and cause reinforcement corrosion. The chlorides that are released in the vicinity of cooling towers and penetrate into the concrete have an even greater impact. The construction method also proved to have an influence on this." Now that it is clear which failure mechanisms occur where, we can focus our attention on the most efficient repair method. The life span extension measures in the structures are the least complex. Marcel explains: "In 80% of cases, we can be content with installing a new load-bearing structure for the pipes. We will implement these measures over the coming years." The handling of failure mechanisms as a result of environmental factors is more complex. This involves testing various innovations that have never before been applied on a large scale. "We function as a living lab", explains Joep. "TNO has fitted some test columns with sensors in order to measure performance. For example, we use a self-healing repair mortar. This contains a bacteria that produces limestone, which fills up new cracks. Another method is to cover affected parts with a dense surface coating or with an anti-corrosive tape. Last but not least, we are testing the operation of sacrificial anodes in this situation, because this has a major impact on costs over a period of 25 years." The test results will be known in the autumn of 2019 and a concrete plan of action can then be drawn up. Marcel explains: "In doing so, we will strive for the lowest lifecycle costs, for example by combining the best performing repairs and measures with already planned pipeline works from USG, SABIC and Sitech."